LG went on to challenge Samsung with launching its own 5 inch ‘phablet’ called the Optimus Vu. 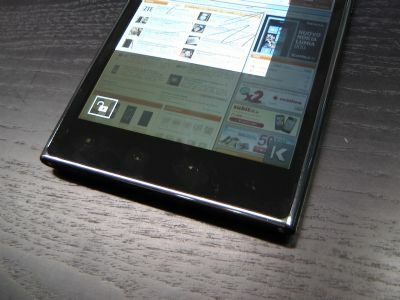 The 5 inch smartphone has been a success in Korea and Japan where it was initially launched and now it is going global. LG has announced that the Optimus Vu will be debuting in select markets in Europe, Asia, Middle East, Africa and Latin America starting from September. Since its launch back in March, the Optimus Vu has sold over 500,000 units which hints that the 5 inch form factor device is ready for a global acceptance and also to compete with Galaxy Note. The Vu is a smartphone with 5 inch XGA IPS display with an aspect ratio of 4:3, powered by Tegra 3 4 Plus 1 quad core processor where the fifth core is a battery saving core. There is an 8 MP camera on the rear and a 1.3 MP camera on the front. 32 GB of data can be saved in the internal memory of the Optimus Vu. The 5 incher runs on Android 4.0 Ice Cream Sandwich OS out-of-the-box and will come with an upgraded version of QuickMemo and Notebook, which are two features that make great use of the large display. Do you feel that with Samsung’s Galaxy Note II arriving on August 29, the Optimus Vu will be able to compete with it in the international market?